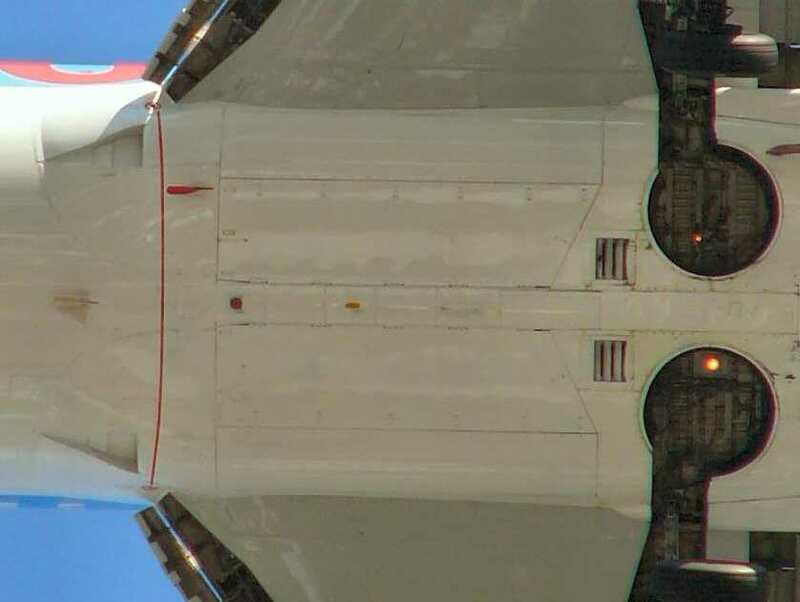 What exactly are those openings in the bellies of many jetliners? I have circled the areas (in yellow) under the belly of the 737. That's an air inlet -- technically a "Ram Air" inlet -- for the air conditioning packs. There is a "left" and "right" pack, which supply air to the forward and aft part of the aircraft respectively (although either pack can supply enough air to keep the aircraft pressurized to its max altitude). 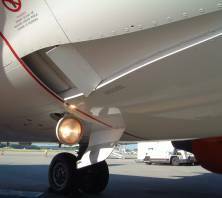 They use high temperature/high pressure bleed air from the engines or APU, but they also get airflow from the ambient air which is used to cool the bleed air. The inlet noted in the question is where the ambient air enters, and there are exhaust vents for this air on the bottom of the aircraft. THIS air isn't used for the pressurization per se (i.e. it doesn't enter the cabin), but just for cooling the air that will enter the cabin (which came from the compressor in the engines/APU, upstream of the combustion chamber). On the ground, there are louvers that close to keep water and debris out of these ducts, and fans are used to pull in air in that configuration. 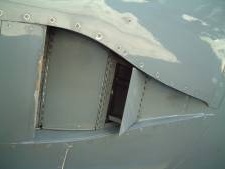 In-flight, the louvers open and airflow is generally sufficient to move the air through the system (although the fans still provide some assist). While there is some amount of drag here, it's fairly minimal, and the ability to keep the cabin pressurized and cool is sufficiently important that the little bit of drag that's caused here is considered acceptable. This specific inlet type is called a "NACA inlet", "NACA scoop" or "NACA duct", since it had been invented by Francis Melvin Rogallo at NACA in 1941 (PDF) and refined by scientists at NACA (now NASA) Ames. Its main advantage is its simplicity: It just needs a properly shaped cutout in the skin and a rounded rear edge, whereas the airscoops it replaces need carefully shaped contours. The working principle is quite similar to that of a delta wing, only in this case the actual wing is missing, and is surrounded by sheet metal. But like on the swept leading edge of a delta wing, the swept left and right edges create a vortex which is swallowed by the actual intake at the rear of the cutout. This helps to create a lot of flow for the given area, even though efficiency is below that of a well-shaped airscoop. Not the answer you're looking for? Browse other questions tagged airliner aircraft-systems boeing-737 feature-identification or ask your own question. Why do many ram air inlets have this shape? What is the function of the holes in splitter plates? 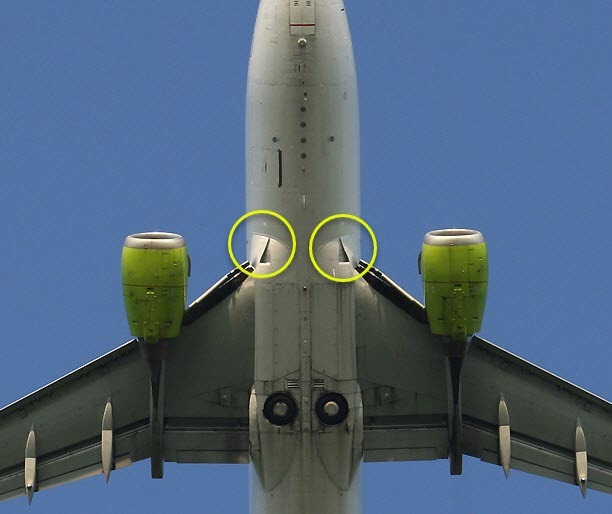 What are the circles/holes ahead of the wing of an MD-82? What are these grilles in the passenger cabin of this 787? What is this display on the 737 Classic? What is this intake at the back of a 737? What are those arrow markings on the wing?